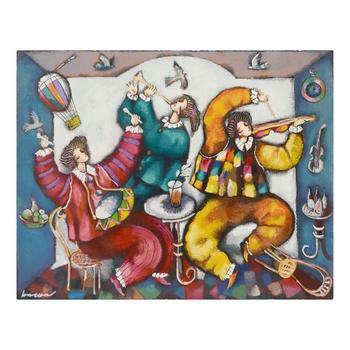 Michael Kachan, "Musicians" Hand Embellished Limited Edition Serigraph on Canvas, No. and Hand Signed with LOA. "Musicians" is a hand embellished limited edition serigraph on canvas by Michael Kachan, roman numbered inverso and hand signed by the artist. Includes a Letter of Authenticity. Measures approx. 26.5" x 20.5" (image). 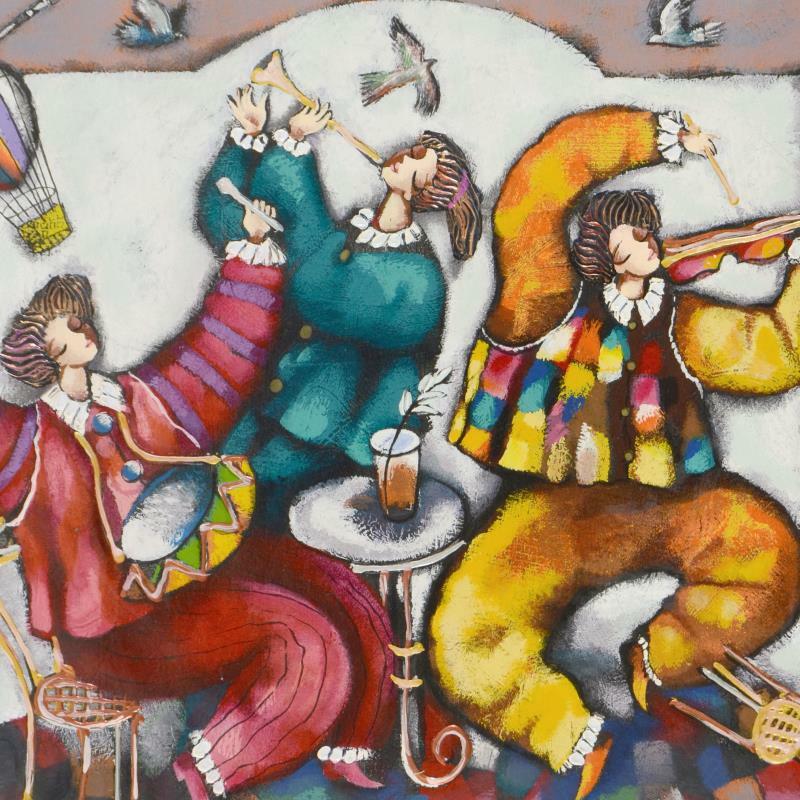 Gifted Artist MICHAEL KACHAN has truly developed a one-of-a-kind style with his enchanting images of lovers, musicians and vacationers enjoying life to the fullest, bathing each of his joyous scenes in rich, sensuous colors. This gorgeous print is a Limited Edition Serigraph, hand signed and numbered by KACHAN himself. The characters dance and frolic in this timeless scene of celebration, one that has helped make Kachan a much-loved and widely admired artist known for his unique talent!